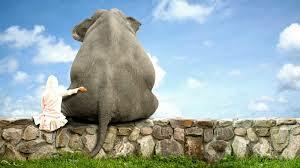 Is There a Copywriting Elephant in Your Coaching? Is your marketing effective? If not, are you aware that great Copywriting can spell the difference between success and failure in business? “OK, so what’s with the ELEPHANT? And what’s all this got to do with my coaching? ?” Glad you asked . . . This thing called Copywriting is simply the way you come across to your prospective clients using the written word. The fact is, unless you know how to get your point across using words and text, you are losing prospects . . . and their money! It is also the “Elephant” in the room that most coaches either ignore, or don’t focus on because it seems more exotic than it is. Although the trend is towards using VIDEO for presentations and sales pages, well-written sales copy will still capture the attention of those who want more than “just a pretty face” (yours, of course)! In addition to video, you must still provide CONTENT and IMPORTANT SELLING POINTS to your prospect so he or she can make an informed buying decisions regarding your coaching products and services. FIRST, use a STRONG TITLE that gets the skimmer’s attention. You are probably reading this article to find out about that dang elephant . . . (gotcha)! SECOND, give Benefits, BENEFITS, Benefits in as many ways as you can!! You text should say this LOUD AND CLEAR!! THIRD, give a strong CALL TO ACTION at the end. Tell your reader what to do; otherwise they won’t do anything and you’ve lost a sale or lead. The whole purpose of good copy is to get the reader to take action. As such, there is a LOT more to this great art that what I’ve given you here, although I’ve laid out the essentials. To get more on this important subject, check out this article to find out how to convert “Skimmers” to “Buyers”! Thanks so much for writing this article on Copywriting. The “3” tips you shared (Strong title, benefits, and call to action) caused me to go back and revisit my articles and copy on my website. You’re great Danette… I appreciate your feedback.